Journey has a lot to live up to. It’s Playstation 3 predecessors, flOw and Flower, provided cerebral experiences through the use of simple game mechanics and stunning art direction. More importantly, the works of developer Thatgamecompany expanded the video game medium, focusing on subjects that are typically absent from today’s mainstream market. flOw and Flower showed that emotionally charged texts could come from the simplest of sources. Both games are centerpieces for Sony’s console, achieving both critical and commercial success. As a result, the expectations for Thatgamecompany’s next title are exceedingly high. Journey does not simply meet these expectancies; it exceeds them, providing an enchanting experience that ranks among the best on any console, past or present. The best way to classify Journey in the traditional means of the medium is to call it a 3D platformer-adventure. Over the course of this two-hour quest, the player will cross massive bridges, explore the remains of an ancient civilization, and scale a great mountain before reaching the game’s brilliant finale. Whether sliding down glistening hills of sand, meeting another wanderer for the first time, or fleeing from deadly pursuers, Thatgamecompany’s ongoing commitment to evocative experiences fills the player with a multitude of emotions. 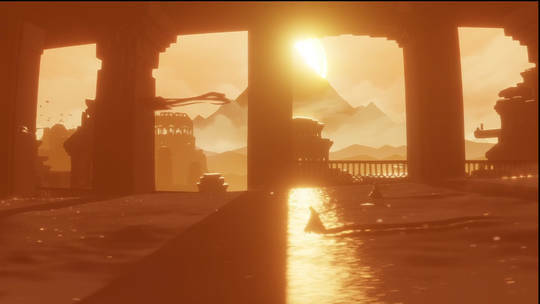 The beauty of Journey is how gameplay and narrative are interwoven seamlessly. Much like the developer’s previous classics, dialogue is entirely absent here. 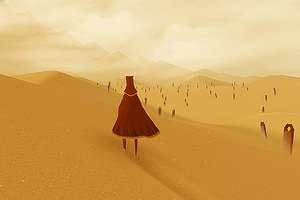 Instead, Journey’s narrative is essentially left to the interpretation of the player, who is cast into an endless desert with no motive other than the purpose of reaching an enormous mountain far-off in the distance. Outside of a handful of pivotal scenes providing a basis for the player’s quest, the individual must discern the game’s narrative progression for themselves. This ambiguity is fundamental to Journey’s appeal, as the understated yet compelling story demands an active role of the audience. Had the story been conveyed in a more conventional manner, the wanderer’s tale would have lost most of its emotional impact. And this connection is instrumental in enjoying Journey. Who is my character? Why am I striving to reach this mountain? What will happen when I get there? Internal questions like these arise intuitively during gameplay, dissolving the barrier between the player and the character on screen. The developer’s decision to include an anonymous online multiplayer component should be applauded for creating an extra layer of depth to the story; adding to the fantasy rather than detracting from it. Exceptional art direction and a moving soundtrack complement Journey’s minimalist narrative. The game practically oozes atmosphere. From the second you hit Start you are transported to a vast deserted land that truly makes you believe that you are walking through a lost civilization. Journey is a graphical powerhouse and a great showcase of the Playstation 3’s visual capabilities. The game’s haunting soundtrack is equally impressive, harmonizing with the brilliant visuals to create a profound impression on the audience. With the sublime Journey, Thatgamecompany surpasses their previous attempts at blurring the distinction between the video game medium and art. Furthermore, Journey stands on its own as an extraordinary achievement in regards to storytelling. The talented developer has crafted an unforgettable experience that ranks among the best on today’s console market. Today Nintendo announced that there are releasing two new Pokemon games, and they are going to be in 3d for the 3ds. These are the first 3d entries for the core Pokemon games. These new Pokemon games will be called Pokemon X and Pokemon Y and they will have new 6th generation Pokemon. 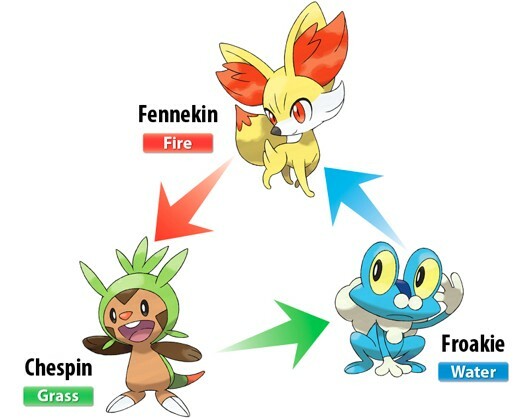 Here is a picture of the new starters from the 6th generation of Pokemon, there names are Fennekin (the fire type), Froakie (the water type), and Chespin (the grass type). I’m also including a video of the announcement trailer that released today as well. Pokemon X and Y will be releasing worldwide in October. The Pokemon series might just be my favorite series of games of all time. I’ve always been a fan of RPG’s and the Pokemon games do it just right. They are simplistic enough for everyone to enjoy, yet they have enough depth to make for very competitive play. I managed to get my hands on a copy of Pokemon Black 2 this Christmas and I am thoroughly enjoying it. 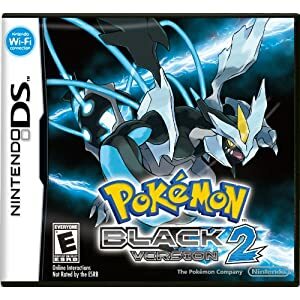 Pokemon Black and White 2 take place two years after Black and White 1 in the same region, Unova. The story is completely different and they have introduced a plethora of Pokemon from previous generations into the Unova region. Bianca and Cheren are back from the original and you meet them very early into your journey. Bianca has become Professor Juniper’s assistant and Cheren is the first gym leader now. Team Plasma is also back and they are still up to no good. I just beat Cheren in the first gym, he uses normal type Pokemon which were no match for my Riolu and Oshawatt (who I chose as my starter). I’m excited to see what else is new and in store for me in this game! I expect that I’ll be reporting back with news on my new travels over the next few weeks so keep checking back for more info. I hope everyone had a great holiday and a happy new year! 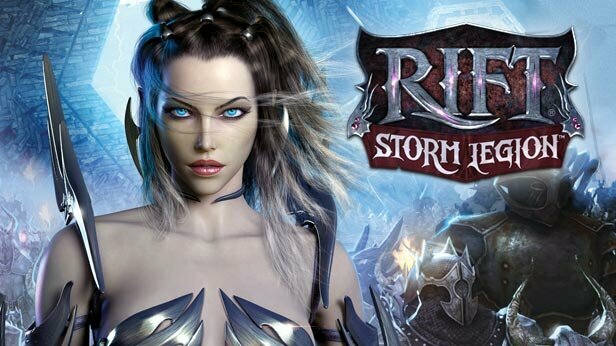 The mmo Rift has recently released an expansion and it’s bringing gamers back. The expansion increases the cap to 60, offers a new subclass for each class, three new raids (soon to be up to 20 players), tripled the size of the world, and new warfronts! You can get the original game on sale right now through Steam for $10 and that covers your first month subscription! To buy the expansion it will cost you another $39.99. Anybody who is a fan of mmo’s and is getting bored of World of Warcraft I would highly suggest paying the $10 to give Rift a shot. You can also get half off time cards through Best Buy here. Currently we have a Vidjagamers guild on the Wolfsbane server on the Defiant side. Come and join us!